Indian Premier League On Nails! Whole India must be busy watching IPL. Creative Nails also wanna join you. 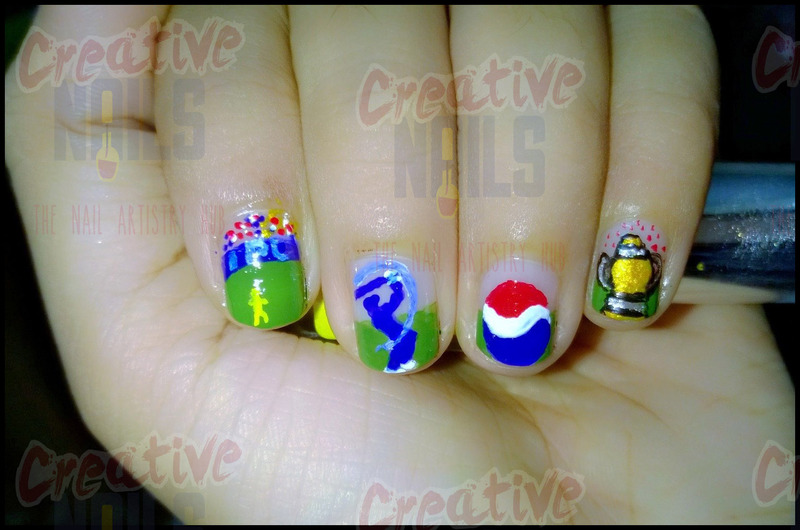 So today’s nail art is dedicated to IPL lovers – Yeh Hai India Ka Tyohar !! Aha, IPL fever everywhere. I loved your mani as much i love watching IPL matches. This is very creative indeed!! I had never imagined that IPL could also be a theme for nail art!! Very well thought!! Its really very nice..